July 25, 2017. A recent generous donation from the Knopf Family Foundation to the Wildlife Heritage Foundation of NH has resulted in expanded research by NH Fish and Game into the climate, habitat and prey abundance of the endangered lynx species throughout northern New Hampshire. The Wildlife Heritage Foundation of NH, the non-profit partner of NH Fish and Game, awarded the $10,000 grant to NH Fish and Game which is collaborating with the U.S. Forest Service in a five year study in Coos County. 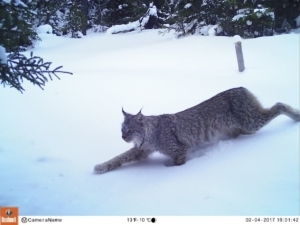 To identify locations most likely to host lynx and to understand the dynamics affecting these animals in their natural habitat, as well as other winter-adapted carnivores, the study is being carried out by remote camera filming in the species natural habitat. 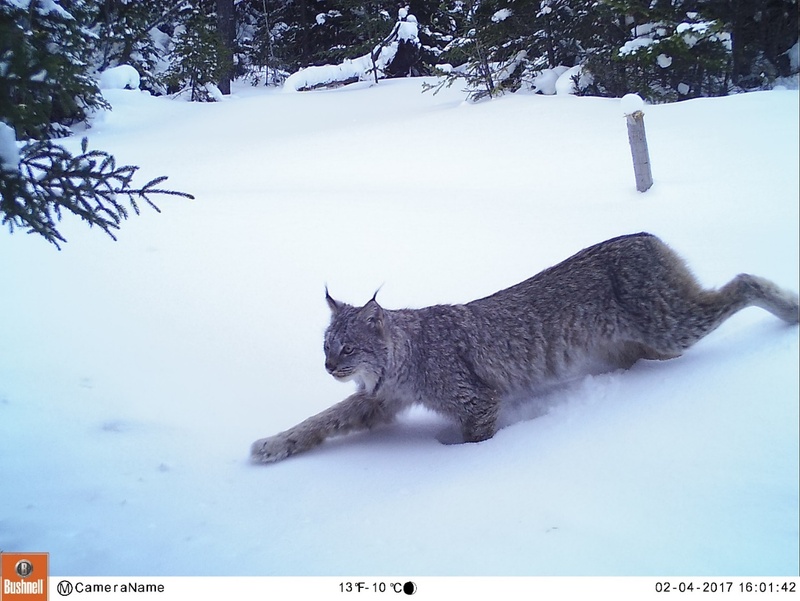 The Knopf Family Foundation grant allowed researchers to purchase 67 additional trail cameras, batteries and SD cards needed for the remainder of the study, as well as scent supply and snow stakes used to measure snow depth in remote locations in the White Mountain National Forest. Cameras are checked quarterly by Fish and Game staff and volunteers, and the data is being cataloged and tabulated by a research team from the Northeast Climate Science Center of UMass Amherst. The program will continue through 2018, when all data will be compiled and a final study report released in 2019. The Wildlife Heritage Foundation of NH and NH Fish and Game’s Non-Game and Endangered Species Program are grateful to the Knopf Family Foundation for their dedication to endangered species, and appreciate their generous donation to the Wildlife Heritage Foundation of NH to allow for continued study on the lynx in our great state.